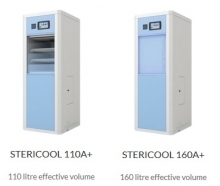 Best personal and environmental safety among low temperature sterilizers - Alternative sterilizers using (EtO) Ethylene Oxide (EtO) and Formaldehyde are hazardous to the environment and carcinogenic for humans. No residual toxic waste; no harmful by-products - Radio Frequency Hydrogen Peroxide Plasma abatement technology facilitates outstanding personnel and environmental safety. At the end of the sterilization cycle, all hydrogen peroxide is converted into water and oxygen. Rapid throughput - Alternative Ethylene Oxide (EtO) and Formaldehyde sterilizers have extended sterilization cycles of 12 and 4 hours respectively. In comparison, our hydrogen peroxide plasma sterilizers offer rapid throughput (31 minutes), hence reducing operational costs. In-chamber plasma - In-chamber plasma breaks down residuals on medical equipment and contributes sterilization by generating radicals, unlike rudimentary hydrogen peroxide vapor sterilizers. Further, not all plasma sterilizers actually facilitate in-chamber plasma and therefore do not offer the same benefits. Extended life for delicate sterilized instruments - The best sterilization environment for delicate, heat-sensitive, and moisture-sensitive medical instruments resulting in minimum instrument damage and lower repair costs. Easy installation reduces costs - System installation simply requires a 16 Amp 220-240V outlet. There is no need for costly plumbing, ventilation or monitors as the Stericool unit has no toxic waste. Easy installation means that devices can be repositioned to adapt to the changing needs of a hospital.